A man has appeared in court accused of killing a missing student. 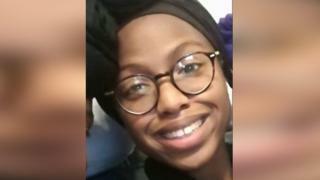 Joy Morgan, 21, who was studying midwifery at the University of Hertfordshire, was last seen at a church celebration in Ilford, London, on 26 December. Shohfah-El Israel, 40, of Fordwych Road in Cricklewood, north-west London, appeared at Hatfield Remand Court charged with her murder. He was remanded in custody and will appear at St Albans Crown Court on Friday. Police previously reported his name as Ajibola Shogbamimu, but court staff said he had changed his name by deed poll. Hertfordshire Police are continuing to search for Ms Morgan. She had been living in rented accommodation in Aviation Way in Hatfield and has failed to return to the university.